In 2017 we started a fundraising campaign for the work of Nedko Nedyalkov. After 40 years without any live recordings, Nedko caught a Mouse-tailed dormouse (alive) in Southeast Bulgaria in Summer 2017. When he knew where to look for this animal, he planned to start a survey and monitoring project to learn more about the biology and ecology of this elusive species. 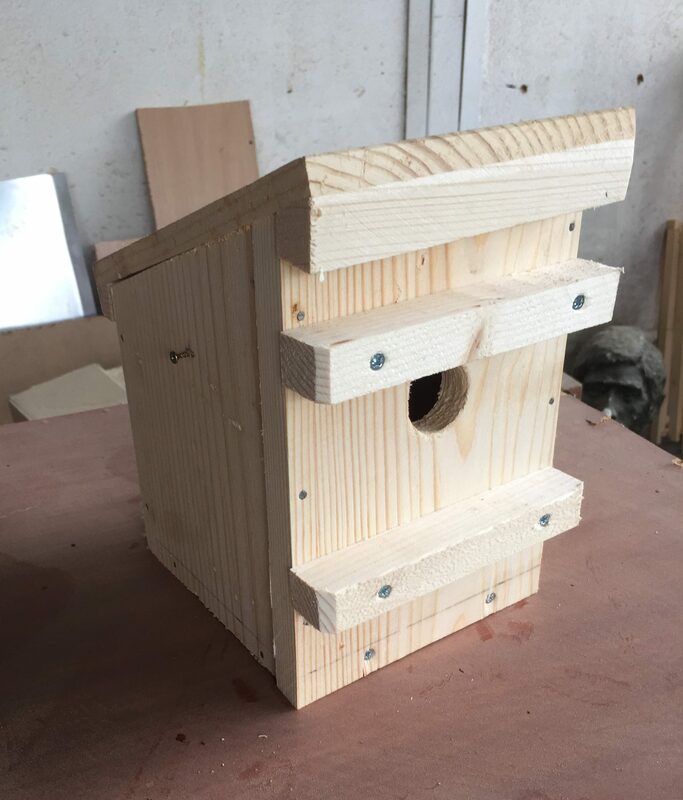 For this project, he will use nest boxes and nest tubes that he will place in potential habitats in Southeast Bulgaria. The nest boxes and nest tubes will allow Nedko to learn more about the habitat preferences of the Mouse-tailed dormouse and enable him to collect data about the diet, activity patterns, population structure, genetics, and parasites. At the same time, the nest boxes offer the animals extra places to rest and breed, especially in areas where hollow trees are rare. With the grant of the People’s Trust for Endangered Species (PTES), Nedko can have many nest boxes made, buy nest tubes, live traps and wildlife camera’s. The grant also covers his travel expenses. Not surprisingly, Nedko went to work immediately after he heard about the grant. He ordered 100 nest boxes at a local carpenter. The design of Hazel Dormouse nest boxes used by PTES was used, slightly adapted to answer the size of the Mouse-tailed dormouse. The nest box will be treated with an impregnating agent – a natural base oil – to protect them from rotting. In the meantime, Nedko started the fieldwork. Thanks to several small donations Nedko could build a dozen nest boxes earlier this year. He placed them in trees in the Sakar mountain region in southeastern Bulgaria. 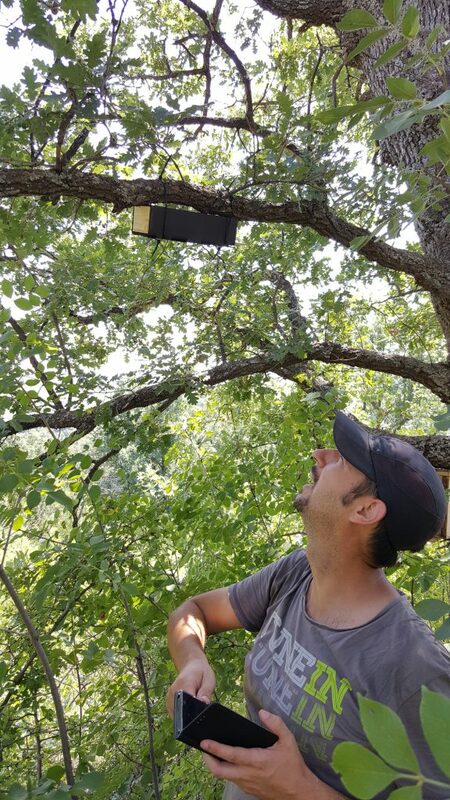 The new nest boxes will be placed there too, as well as in the Eastern Rhodopes. 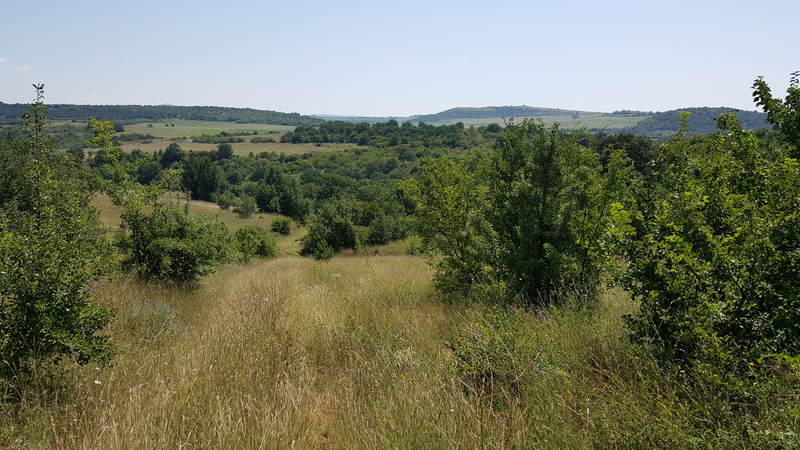 The work conducted so far, was helped by Milvus Group Romania, the Dutch Mammal Society, the Technical University Braunschweig Germany, and The Habitat Foundation. In May 2018, live traps were placed in the Svilengrad region. In cooperation with members of the Milvus Group Romania, these traps were checked during 250 days. During the last week of June, another 5 days were spent in the field, trapping with live traps in the Eastern Rhodopes region, Bulgaria. The same fieldwork was repeated in the last weeks of July. Also, four nest tubes were placed there to check if they would be accepted by the species. During this fieldwork, 45 Sherman and 40 Longworth traps were used in 3 potential habitats for 2 x 5 days. The weather was rather wet for the region. In August 2018, another field research (this one lasted 10 days) in suitable, but different, habitats in the species’ distribution range was conducted. This time 40 Longworth traps were used. In total, about 1500 trapping nights were realised but no Mouse-tailed dormouse was caught or seen. Does this mean that the species is as rare as we expect or were the wrong habitats sampled? More fieldwork is needed to answer this question. With the grant of PTES Nedko can start to do this in 2019 but to carry out his full program (see the project page) extra funding is still needed. Help him with a small donation. Nedko also got in contact with colleagues from Greece, interested to work on this species too. About the presence of the species in Greece nothing is known. 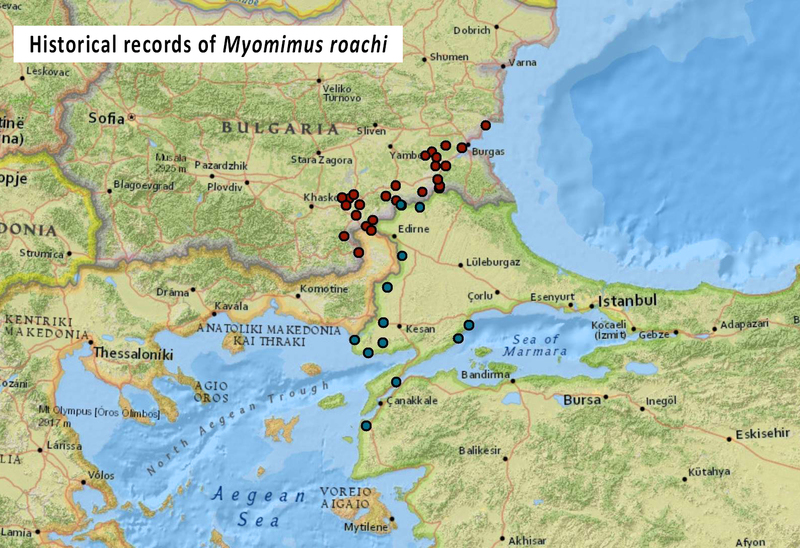 It is expected there though because is ahs the right habitats and lies between the historical known distribution ranges in Bulgaria and Turkey. The intention is to perform a common research work in the potential habitats of the species in Northeast Greece.